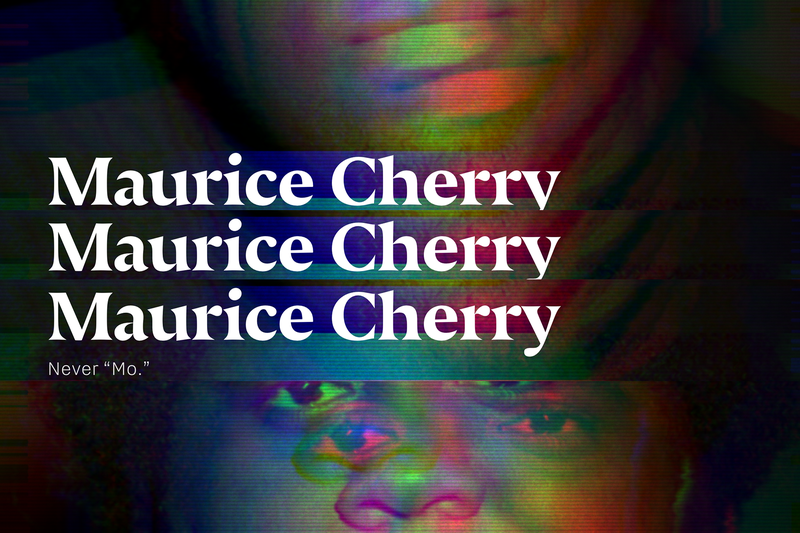 The Division of Graphic Design of BGSU is proud to host Maurice Cherry on our campus this coming fall! We are still in the early planning stages, but save the date. Maurice Cherry is head of media at Glitch, the friendly community where everyone can discover and create the best stuff on the web. Maurice was formerly the principal and creative director at Lunch, a multidisciplinary studio in Atlanta, GA that helped creative brands craft messages and tell stories for their targeted audiences, including fostering relationships with underrepresented communities. Past clients and collaborators included Facebook, MailChimp, Vox Media, NIKE, Mediabistro, Site5, SitePoint, and The City of Atlanta. Maurice is a pioneering digital creator who is most well-known for the Black Weblog Awards, the Web’s longest running event celebrating Black bloggers, video bloggers, and podcasters. Other projects of Maurice’s include the award-winning podcast Revision Path, 28 Days of the Web, and The Year of Tea. His projects and overall design work and advocacy have been recognized by Apple, NPR, News One, AIGA, HOW, Print, The Dieline, Creative Market, Buffer, the Columbia Journalism Review, and The Atlanta-Journal Constitution. Maurice is also an educator, and has built curricula and taught courses on web design, web development, email marketing, WordPress, and podcasting for thousands of students over the past ten years. Maurice is the 2018 recipient of the Steven Heller Prize for Cultural Commentary from AIGA, Creative Loafing Atlanta’s 2018 Influentials in the fields of business and technology, was named as one of GDUSA’s “People to Watch” in 2018, and was included in the 2018 edition of The Root 100 (#60), their annual list of the most influential African-Americans ages 25 to 45. In previous years, Maurice was awarded as one of Atlanta’s “Power 30 Under 30″ in the field of Science and Technology by the Apex Society. He was also selected as one of HP’s “50 Tech Tastemakers” in conjunction with Black Web 2.0, and was profiled by Atlanta Tribune as one of 2014’s Young Professionals. Maurice holds a Bachelor’s degree in Mathematics from Morehouse College and a Masters degree in telecommunications management from Keller Graduate School of Management.